This year 66 middle and high school scholars attended 34 different summer enrichment programs including 18 scholars who traveled outside the state of Washington to attend east and west coast summer boarding schools. 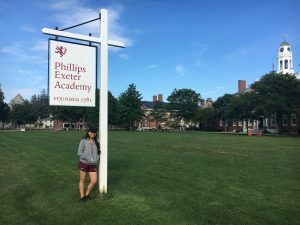 Ninth grader Yary Villegas spent her summer at Phillips Exeter Academy in New Hampshire and loved being with students from different countries and learning about other cultures. One of her favorite parts of the experience was knowing that she can make new friends in a completely different setting, and now she keeps in touch with classmates from all over the world. Yary was in a cluster of fourteen students studying crime scene investigation, taking courses in forensic science, digital photography, and detective fiction. 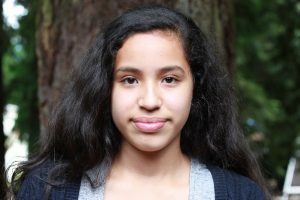 Her summer program wrapped up when her group solved the staged murder of a professor using the genetics of hair, fingerprints, and other methods in their investigation. WOZA Soccer and Rainier Scholars share an interest in developing young people as leaders creating a meaningful community partnership. 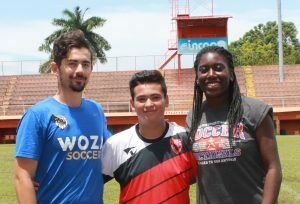 Angel spent two weeks this summer in Puntarenas, Costa Rica with Woza Soccer. Woza offers international summer service trips for high school and college soccer players, using the game to create connections across cultures. Angel liked meeting new friends and learning how people from other countries play soccer. “The first few days felt a little awkward being in a new country and meeting new people, but after a few days it was like being with a new family,” said Angel. As part of their service project, WOZA donated soccer balls and cleats to the local children. Angel observed “Most of the kids did not have soccer gear, and it was fun to see their faces because they were so excited to get cleats of their own.” Demonstrating their leadership qualities, the travel group of 14 students on Angel’s trip made an agreement to raise money for the Costa Rican soccer club, so they can afford to practice more than once a week. 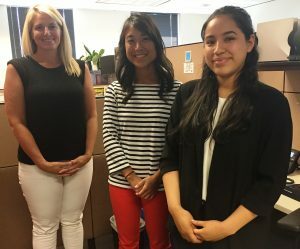 This summer our high school internship phase connected 45 scholars with professional internship experiences across a variety of sectors providing meaningful summer work opportunities. 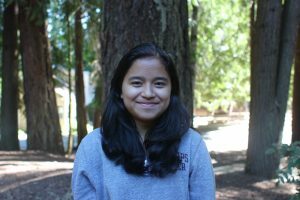 Jaylin spent the summer as an intern at EnviroIssues, an environmental community outreach and public involvement firm. Jaylin learned about human resources and accounting, gaining valuable experience with Excel and Outlook. “I know I am interested in business and didn’t know what area. It is great to learn more about HR and accounting to help narrow my choices,” said Jaylin.